Effective Sunday November 25th, 2018 thru Sunday February 10, 2019, the Marina Office only will be closed. You may still book a lift/launch in the boatyard should you require one during this period, as our crew will continue to be on site/on duty to assist you. Also should you wish to meet a yacht broker (by appointment only), please contact a broker at 604-921-7457. 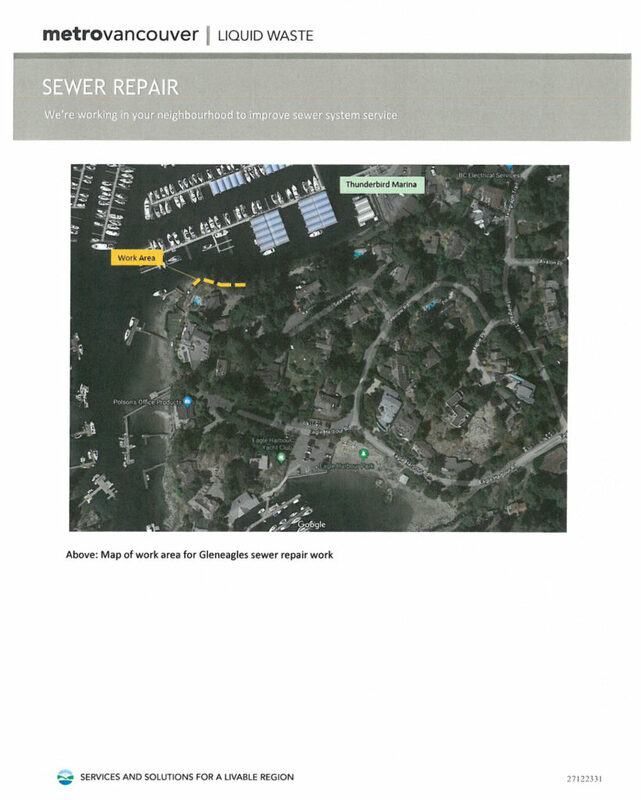 Beginning later this week, Metro Vancouver will conduct repair work on the large sewer line that runs along the south shore of the marina (adjacent to the channel used to access the work yard and Travelift). This work will happen late at night during low tide conditions. If transiting the channel between 6pm and 5am you might expect to see some work vessel traffic, lights, and crews working the shoreline. During the week of Dec 3rd, there might be full closures of the channel because of the presence of a large barge; however this work would happen between midnight and 4am, so it is unlikely any vessels will be transiting at this time. Affected boat owners in the immediate area will be notified if necessary – these would potentially be boats on J and K floats.